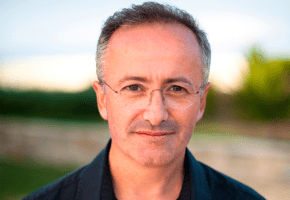 Andrew Denton’s family history in Who Do You Think You Are? was powerful viewing last night and delivered excellent numbers for SBS at 503,000 viewers. Without much Reality on offer in the timeslot, SBS performed well at 7:30. There are more enticing names to come this season. But the night was won by the Nine network with a share of 30.6% then Seven 27.4%, TEN 20.1%, ABC 14.3% and SBS 7.7%. Nine News (1.17m / 1.13m) was best for Nine then Hamish and Andy (967,000), A Current Affair (964,000), Big Bang (796,000 / 730,000), Hot Seat (642,000) and Movie: What to Expect When You’re Expecting (353,000). Seven News was #1 for the night at 1.19m / 1.02m, then Winners and Losers (867,000), Home and Away (860,000), Highway Patrol (768,000), Million Dollar Minute (617,000) and Chicago Fire (391,000). MasterChef Australia won its timeslot at 1.1m for TEN followed by TEN Eyewitness News (674,000), The Project (675,000 / 406,000) and Under the Dome (546,000). Modern Family was 377,000 and NCIS: LA was 334,000. ABC News (869,000) was well ahead of other ABC1 titles: 7:30 (657,000), Foreign Correspondent (507,000), QI (467,000), At the Movies (320,000) and Art + Soul which bombed at 244,000. Tuesday’s 8:30 slot for ABC1 is in need of a regular first run show. Who Do You Think You Are? (503,000) easily led SBS ONE then Insight (222,000), Tour de France (169,000), SBS World News (161,000) and Dateline (131,000). Midsomer Murders on GEM topped multichannels at 325,000 but 7mate’s Bogan Hunters was right behind on 325,000 while Kinne was trending on Twitter to much acclaim and ranked with 266,000. So either Who Do You Think You Are was mentioned on radio or their sports shows or both. With that figure. I was happier watching ironically the ABC. That’s why I watched Four Corners and Media watch on Tuesday. Both were really excellent. Shows what short sighted people there are in this country. As for that Art + Soul thing. I’ll admit I tried Ch 72 first: didn’t stay. Then had a slight look at Ch 2. I’m not surprised it bombed. I just hope they realise it wasn’t suited and don’t over react. Unless it is with attempting good programming suited for the audience. The ratings for Studio 10 prove there is room for 3 competing morning shows and Nine need to re examine their morning offering if the trend continues. If only Wake Up had the same pull as Studio 10. David, there is a typing error here in Modern Family Section. Can you please correct this error to 377,000? I would have expected Under the Dome to rate higher that that. Just put on Kinne and deleted it after 10 mins, unfunny rubbish. Glad that people also watched the return of Who Do You Think You Are on SBS last night. It was a great episode with Andrew Denton. I also think it was a great night of ratings over on the multi-channels. A bit of variety shoves a few regulars (aka – children programs from abc2) off the chart. Bogan Hunters lifted up its ratings after a few flat weeks, while Kinne’s premiere did great too for 10pm. What the hell Channel 10 do with NCIS LA last night? Last week they where half way through the Comescu storyline (where Callen finds out about his life and Hunter is introduced as a character) to last night, which starts off showing Hunter had already been blown up! Without the lead in shows to those episodes it made no sense! Very poor programming. I know at one point, Sunrise was still trailing Today in Melbourne and Sydney and they won because of Adelaide, Brisbane and Perth. Hence I was wondering if this is the case now given the better ratings for Sunrise this year. Thanks but if you don’t have the figure, that’s fine. I would love Studio 10 to pip Mornings one day, and judging by these figures its only got another 27,000 to go. Numbers for morning tv would be boosted by school holidays though with students and teachers home. Nine originally had the rights to Midsomer Murders but either dropped it or on-sold it to the ABC. Over 15 years later the same eps are their top rating show on GEM. Oztam will only let you publish official tables and won’t allow you do any analysis of data that doesn’t conform to their approved standards using their approved tool. You are free to talk or report on individual data points. So you won’t see a breakdown of total and demographic numbers by timeslot which would be the most useful format, but what the Networks never want people to see. David – forgive my ignorance. is there a ban on providing ratings breakdown by city for programs outside Top 20? I was just asking as I was interested in the morning breakfast breakdown. No there is no ban. Wow is that the highest ratings so far for Studio 10? What is the point of the first 25mins of your Tuesday “Immunity Pin” shows? Doesn’t it kinda take the point out of it when you’ve already shown your audience the outcome? Very surprised by the poor numbers for Under the Dome. What happened to the other 500,000 that were watching last year? Virtually no opposition from the other channels on a cold winters night.